Tickets for West Berkshire's brand new lottery have gone on sale today (Wednesday 6th February). More than 35 good causes in the area have signed up to take part in the West Berkshire Lottery with players able to choose which cause they would like to support. From every £1 ticket sold, 50p goes directly to the chosen cause and another 10p is put into a community fund. This fund will allow one-off grants to be made to the lottery causes in addition to their direct fundraising and will be awarded by an independent panel on behalf of West Berkshire Council. The first of the weekly draws will take place on Saturday 30th March with players able to win a jackpot of £25,000 for a matching sequence of six numbers. Other prizes are £2,000, £250, £25 or three free tickets. The West Berkshire Lottery is expected to raise a significant amount for good causes in the area over the next five years. Players can support a wide range of causes working in communities across West Berkshire. To see a list of all those taking part visit the West Berkshire Lottery website - good causes can also visit the site to sign up and fundraise through the lottery. "Our hedgehogs come in with a huge variety of problems, very few of which are their own fault but almost all of them mean a costly stay with us. We hope this will be for a short period but sometimes it is for many months until they are healthy enough to release. High quality food, vet bills, medications all tot up so when the West Berkshire Lottery poked its head above the parapet I was on it like a shot. "People are wonderful with donations but anything that allows them to donate with the chance of getting a reward for doing so has to be good. The odds are much better than the National Lottery with a 1 in 50 chance of getting something back so joining was a no-brainer. We are delighted to be in the first wave of charities to join up and wish everyone well with their fundraising and their luck!" "It's really exciting to launch this new lottery and give good causes another way to fundraise. We're delighted that so many groups and organisations have joined in, and we hope that local residents will take part and buy a ticket or two and support a cause close to their heart! "In West Berkshire we have countless wonderful residents who give their time, energy and expertise to make a difference to the lives of others. Many projects are reliant on fundraising to do this good work and the lottery is a fun way for residents to support them. With good causes raising more funds, and prizes for local residents it's truly a case of the community winning together." "We are delighted that Gatherwell has been awarded the opportunity to run the new West Berkshire Lottery. 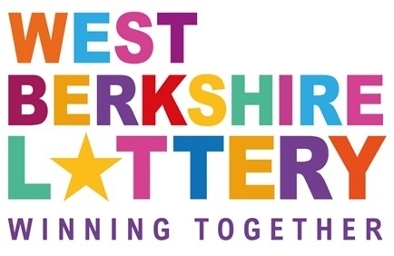 We're looking forward to helping West Berkshire's local causes in partnership with the council." Good causes can join the lottery at any time - it's free to join, easy to sign up and takes only a few minutes. To buy your tickets or register as a good cause visit www.westberkshirelottery.co.uk.